The roots of Applied Process, Inc. were forged in 1962 when W. R. Keough, with several partners, founded the Atmosphere Furnace Company (AFC). Their introductory product was a controlled atmosphere continuous belt-type austempering line capable of processing 1,500 pounds (680 Kg) per hour of small parts. That development spawned the Atmosphere Group, which included several commercial heat treatment plants specializing in austempering. In 1967 AFC produced the first continuous austempering furnace that allowed hand-loading of the parts. In 1972 the pusher-type austempering furnace was developed. Also in that year, the process was first commercially applied to produce Austempered Ductile Iron (ADI) at an Atmosphere Group facility. Each of these equipment and process developments increased the productivity of the austempering process and drove down the price, making it competitive with conventional heat treatments. By the 1970’s the light stamping industry had “discovered” the austempering process and the conversion was on. Meanwhile, a variation of the austempering process, Carbo-austempering, was being explored. By the 1980’s Austempered Ductile Iron had become more than a laboratory curiosity. It had been discovered that the ausferrite matrix in ADI (Figure 4) delivered twice the strength for a given level of ductility when compared to conventional pearlitic, ferritic or martensitic matrices. The stage had been set. Austempering is no ordinary heat treating procedure, and Applied Process has no ordinary people. Our staff includes metallurgists, consulting metallurgists, mechanical engineers and a dedicated R&D staff. AP’s understanding of the process is very thorough, and we keep pushing the envelope with R&D. Twenty percent of all heat treaters list Austempering as just one of the many processes they do. This means that they only do Austempering part-time. 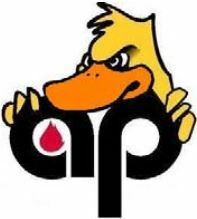 Austempering is ALL that AP does…and we like to think we do it better than anyone. Based on customer input, our proprietary computer models can make accurate material and process selections and predict final mechanical properties. This allows us to assist the design engineer in formulating the optimum and most efficient design, material, and process combination. Grossman and Bain were familiar with the conventional metallurgical structures of ferrite, pearlite and martensite. What they discovered, however, was another structure, formed above the martensite start temperature (Ms) and below the pearlite formation region. In steels, this structure took the form of an acicular (plate-like) structure with a feathery appearance. X-ray diffraction later identified this structure as a combination of ferrite and metal carbide. The resultant structure, termed “Bainite,” was found to be stronger and tougher than a comparable “quenched and tempered” structure (Fig. 2). In 1937, while working for International Nickel, Flinn documented the microstructure of Austempered gray iron (Figure 3). By 1941 Inco and Climax Molybdenum collaborated on experiments with cast iron that produced a “tempered bainitic” microstructure with a 90 ksi (620 MPa) tensile strength. During World War II the Austempering process was used extensively in the production of gun parts. It was found that the process resulted in low distortion and parts that were tougher than the quenched and tempered components they replaced. (Critical gun parts are still routinely Austempered today). However, the best equipment available for Austempering then was very inefficient. Therefore, the Austempering process was relatively expensive. By the 1950’s the Austempering process was routinely applied to steel and malleable iron parts. The relatively high cost of the process limited its use to only the highest performance parts.